Lavonne Redferrin: That’s the one thing about animals, I think, that draws me into them so much. I think God gave them to us as a reminder of what we should be. 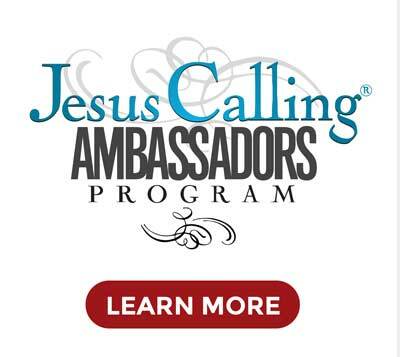 Narrator: Welcome to the Jesus Calling Podcast. 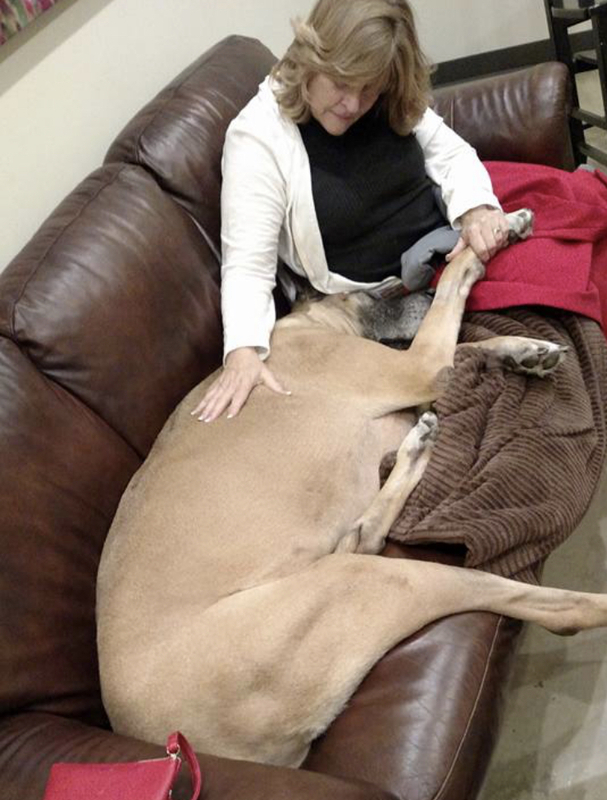 Today we’re celebrating the gift God has given us in our pets, and we talk with two women who have been deeply touched by special relationships with God’s creatures: animal rescue advocate Lavonne Redferrin and musician Irlene Mandrell. Up first, we talk with Lavonne Redferrin, the founder and executive director of Proverbs 12:10 Animal Rescue that operates out of Middle Tennessee. Proverbs 12:10 tries to help as many animals as they can, and they partner with the Nashville community in many ways to match pets with a loving family. Lavonne tells us about the earliest days of the organization and why she thinks God has given us these wonderful little creatures. Lavonne Redferrin: My name is Lavonne Redferrin, and I am the executive director and founder of Proverbs 12:10 Animal Rescue. Many people ask about the name of our organization, and Proverbs 12:10 says that, “The wise man is kind to his animals.” As a child, I grew up on a farm, and we always had animals. We were church-going Christian family, and that verse stuck in my mind, even as a child. And so in adult years, when I decided to do the rescue, that was the perfect name. I never had a doubt what name it would be. We take animals from many, many different circumstances. We pull animals from kill shelters. We take a lot of animals that most aren’t going to get. We take a lot of senior animals. We even have a hospice program, where we might pull a senior who’s 16. And we know that dog or cat doesn’t have a lot of years, but we will put it in a foster home and pay for its care for the remainder of its life, as long as it has quality of life, because every life is precious. We also obviously we have puppies, we have cats, we have adult dogs. We have had an occasional different animal. We’ve had a few horses. We’ve had a ferret, but typically we are a dog and cat rescue. We take any and everything and do our very best to match them with a perfect home. We also have a partnership that we’re very proud of, and it blesses both sides. We are partners with the Davidson County Sheriff’s Department’s inmate program called Second Chances. And those are non-violent offenders, women who are incarcerated. They have no history of violence. They’re usually drug charges or something to that effect, and they’re trying to get their lives back in order, and they foster puppies for us. These puppies that are fostered by them live in the jail, in the cells with inmates. They have big common areas. They have inside common areas where they can play when the weather is inclement . They also have two huge, fenced yards just for these dogs to go out and play. Those puppies are such a blessing to them. Each time one is adopted, [the puppy’s handler] writes a letter that goes with the puppy, and invariably it will say how that animal has blessed them or taught them patience or given them something to wake up for inside those bars. So it blesses the animals because it allows us to take more. It allows us to have a camaraderie with people we normally wouldn’t meet, and it’s a ministry on both sides. The puppies are crate-trained when they come back to us. They’re good on leashes. They’re partially and sometimes totally housebroken. And so we’ve mended hearts and we’ve helped animals, and that is just something we are so thrilled with. We anticipate extending that program to work with adult dogs and some incarcerated men, and those dogs will be placed as service dogs for PTSD people. So we’re we’re thrilled with that because obviously we’re an animal rescue, but anytime we can bless people, that’s even a better thing. It’s a double blessing. This has been a passion since I was a small child. I did not grow up thinking that I was going to do an animal rescue. I just always loved animals, and they were my playmates. As a child, this all evolved. I would have to say my first experience that broke my little heart seeing the need for animals was in the rural community where I grew up. People had to haul their trash to the city dump. There was no garbage pick up, and I would ride with my dad in his pickup truck to haul the garbage. It only took me one trip to notice that puppies and kittens had been abandoned there. It didn’t take my parents very long to realize that trash take off and puppy or kitten arrival had a correlation, so that didn’t last too long. But just seeing them dumped there, it just broke my heart. In those years—I mean, gosh, that was late 60s, early 70s—there wasn’t an awareness of the animal needs like we have now. That haunted me forever. I was forever picking up strays and trying to to help. In college we would sneak animals into our dorm room. I mean, this has gone on through every phase of my life. I actually am a teacher by profession. Students would come to me and say, “There’s a dog in my community, and no one’s feeding him.” They would bring it to me, and I would figure out where it was going. After I had small children, I was on vacation and my husband said, “You’re never going to be happy until you do this.” And so with the family blessing, I decided it was time to form Proverbs 12:10. At that time, my daughter was probably 8, 9. She and I started going to local shelters and asking if we could take puppies or kittens or dogs that were going to be put to sleep and work with another organization and get them placed, and they graciously allowed us to. Initially my daughter and I would be sitting at a local Petco with one cage and a couple of puppies or kittens that had had been fixed and were ready to be adopted. It has evolved over the years until we are at the point that we place an average of a thousand animals a year. We have adoption events every Saturday. Rain, sleet, hail or snow, we’re there. We have between 30 and 50 volunteers every Saturday, and we have just been immensely blessed with faithful volunteers. We have some that have been with us 10 or 15 years, and they never miss. They’re there. It’s called The Proverbs Family or The Proverbs Nation. It’s beginning to be more of a nation [because] we’ve grown so much. On Saturday at Petco, it’s just a caravan of people. The sheriff’s department pulls up, unloads puppies, and it’s car after car after car of volunteers. They all have red shirts on, they’re smiling, and everybody hugs each other. Our organization has a family feel. It really does. Last year, sadly, one of our volunteers passed away unexpectedly, and everyone showed up at the funeral wearing the red Proverbs shirts. It was just a testimony to how closely knit we are. People come from far and wide, and the Saturdays are exhausting, but they’re also the day that we meet with family. We truly are dedicated to all in our care. I got a call one April morning in 2012 about a 9-month-old puppy that a girl had been trying to catch for weeks that had been dumped on a farm. Well, she called and she was frantic because the dog had been shot in the face and had been there three days like that. So long story short, we managed to catch the poor baby in a live trap. We named him Pokey because he was a black and white little puppy, just like in the Golden Books. And we had half of his face reconstructed. But that poor little guy was a victim. Someone dumped him there. He was an unwanted puppy, the result of someone not spaying and neutering. There is nothing more important than that, and he paid the price. He may or may not have gone after someone’s cattle. I don’t know. But someone chose to shoot him in the face, and that was not his fault. I felt like he deserved what it took [to save him]. We had donors from all over the world when his face hit Facebook. We were so grateful that we got the support that we needed to reconstruct that little face, and I just am thrilled for him and the life that he’s living. He is an adored pet. He now lives in Ohio. We stay in touch with his family. I think the best way to show your animals that you love and care for them is to give them a proper home in which to live. They need the medical care. I cannot stress enough the importance of spaying and neutering. We deal with so many unwanted litters. The females who aren’t fixed are going to get mammary cancer. The males are going to get testicular cancer, and that’s metastatic to the bones. We’ve taken several of those in, and it is heartbreaking. There’s so many reduced costs or even free services that will help people, if that’s not a monetary ability that you have. But meeting their medical needs, letting them be a part of your home and not tied out alone. Their body temperature is not much different than ours. When you’re cold, they’re cold. When you’re hot, they’re hot. And so many are frightened of storms. I don’t think we appreciate the dedication they have to us. We’ve had animal surrendered to us, and they will literally sit and watch for hours and days for that person to come back. It’s really gut wrenching to see, so I really want people when they adopt to think through, Am I going to get this animal and keep it for the duration of its life? Am I dedicated to finding another house if I have to move, if I rent, that allows pets? When I have children am I going to take the time to have the patience to acclimate them to one another? Do I have the financial ability to take care of them? It’s like a child. Obviously it’s not a child, but it’s as helpless, and it remains helpless throughout its life, so it’s a big dedication. It’s a 15-year plan if you get a puppy or kitten, and some live longer than that. I just urge people to take that step very seriously. And if you’re not ready. that’s fine. Everyone doesn’t have to have a pet. If you’re not in that situation, you can go to shelters, and they will welcome you walking pets that never get to leave their concrete runs. There are organizations like ours that would welcome volunteers or fosters. If you foster, we pay all the bills. There are so many options that you can choose if you love animals. But if you know in your heart your life is not going to be at a point where you can promise a forever home, then I suggest that you don’t. It’s a very serious commitment. Our biggest help for this organization, other than people who are local and who can foster—we can’t save animals if we don’t have foster homes—is to help with donations. We welcome donations directly to our vet. We don’t ever want anyone to doubt where their hard-earned money is going, and we tell people constantly, “If you prefer to donate to our vet, we will give you that number.” We have a link on our website for PayPal. Some people decide they want to donate food to us. You could order it through Chewy Pet Food, Supplies and Products, and that is sent to us. For people who are close and in the Tennessee, Middle Tennessee area, we always welcome the donation of quilts and comforters, bedding, thick bedding for older animals. We go through so much. We go through bleach and detergent. I mean, there’s so many things outside of the normal realm. You think of leashes and collars, which are always a need, and finances, which are a huge need. But there are so many household things that we have to buy to keep things clean and and to provide for our fosters. Litter for cats. Crates. The list goes on and on. There are so many needs, but the hands-on people and the people who are willing to open their home and foster an animal, that is the biggest gift. It is a huge gift. You’ve changed an animal’s life. People will say, “It will just break my heart.” I learned a long time ago that I have to tell myself that I will be far more heartbroken if a very adoptable animal dies in a shelter than I will be if I watch it walk off with a new adopter who has been screened thoroughly and who’s going to provide it a loving home. We can’t do that without foster homes, so that is a huge need. What I do is very time consuming. I’m usually online until late at night, and the next morning it starts again. Many, many requests for help and trying to sort out who we can actually help and have space for, and then arranging medical treatments and fundraising and meetings to pull this off—it really is time consuming. And I will say this: there are times when it’s very dark, for lack of a better word, because I’m seeing so many sad situations. But I have to bring myself back around and look at the end results of the ones we help. I would have to say my only sane time and quiet time is morning. The rest of the day, I’m pretty wide open, but I’m thankful for that quiet time. And I do have the Jesus Calling book, and it’s worn and tattered. I just love that it speaks in first person, because I think we forget that God is talking to us through Jesus, and that He wants our attention. And it is a first person perspective. He’s talking to each of us one on one, if we’ll listen. I have read this book so many times. I read it every year. I keep it on my end table by the end of the sofa where I sit. Time with Me cannot be rushed. When you are in a hurry, your mind flitters back and forth between me and the tasks ahead of you. Push back the demands pressing in on you; create a safe space around you, a haven in which you can rest with Me. I also desire this time of focused attention, and I use it to bless you, strengthening and equipping you for the day ahead. Thus, spending time with Me is a wise investment. Bring Me the sacrifice of your precious time. This creates sacred spae around you—space permeated with My Presence and My Peace. I think this one is my favorite simply because I relate so much to the fact that time is precious. And mine is so parsed out that I have to make it a priority or it won’t happen. And we all have to do that. Regardless of what you do, we’re all pulled in many directions. And if you don’t set that time set that time aside, it won’t happen. I just love that it says, “Push back the demands pressing in on you, and create a safe space around you, a haven in which you can rest in Me.” I need that to continue what I’m doing. And we all need that. It isn’t unique to me. God created in all of us that need. Through the years, that initial site at the city dump has stayed with me. And sadly, there are still situations like that. We get animals that have been abandoned. We’ve got a dog this week that was indistinguishable. Someone had found him on the side of the road, and his matting had turned into dreadlocks. He had one mat so tightly around his leg that the circulation was almost cut off. You couldn’t see his face. It was just heartbreaking. He was taken to a vet, and the vet clinic is our primary vet office. I called and asked if we would accept it, and of course I said yes without even having seen him. He’s been shaved off and gotten his initial vetting. He’s an old man. His name is Stanley, and Stanley will go to a hospice foster and live out the rest of his days. I can’t imagine what he endured, the cold of this past winter. He didn’t get in this condition overnight. This is months and months and months of neglect. But in spite of that, he is so happy and so grateful. And that’s the one thing about animals, I think, that draws me into them so much. I truly believe that they’re everything God meant for us to be, but we fall so short. They love you unconditionally. They forgive grudges. The ones—I’ll cry talking about it—but I’ve seen so many that have been through so much, and they still wag their tail, and they’re willing to give another human an opportunity. And I think, Gosh we could learn so much if we could just be like that. They live totally in the day. The sun’s shining, they’re lying on their backs, soaking up the sun. They’re not worried about tomorrow. They’re not moaning over yesterday. They’re enjoying the day. I just marvel at what they are. And I’m sitting here wiping tears, but they’re priceless. Narrator: To learn more about how you can help Proverbs 12:10 or to learn how you can adopt one of their animals into your family, please visit Proverbs1210Rescue.org. And don’t forget to like them on Facebook or follow them on Twitter and Instagram so you can see their incredible work and adorable photos of adoptable friends. Stay tuned for our chat with musician and actress Irlene Mandrell after a brief message about a free offer from Jesus Calling! We often hear how Jesus Calling devotions help readers recognize the loving relationship God wants to have with each of us. God sends us blessings in many forms, but one of His most joyful gifts is our pets! 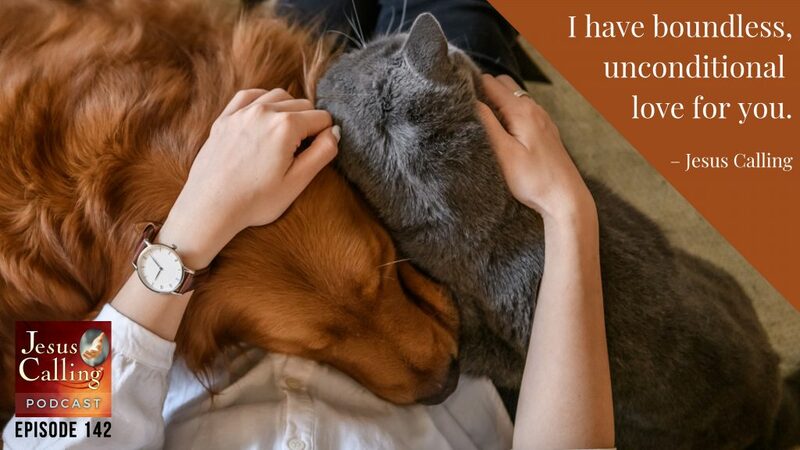 Whether you are a dog lover, a cat person or have a love for all God’s creatures, we all can learn a thing or two about loyalty, devotion and unconditional love through our pets. 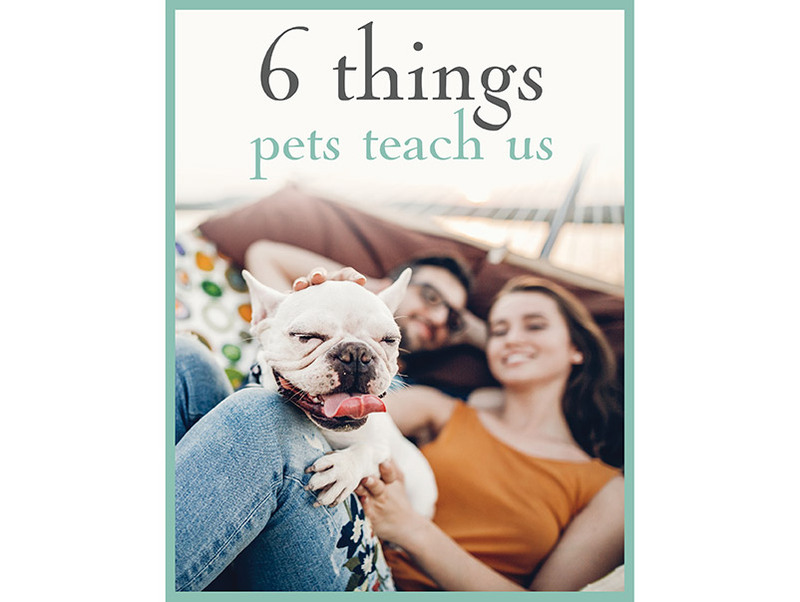 Now available at JesusCalling.com/ offers, we have a lovely free downloadable piece called “6 Things Pets Teach Us.” Included with these special thoughts on pets are Jesus Calling devotional excerpts that help us reflect on God’s care for us and His unconditional love. Get your free download of “ 6 Things Pets Teach Us” at JesusCalling.com/offers. 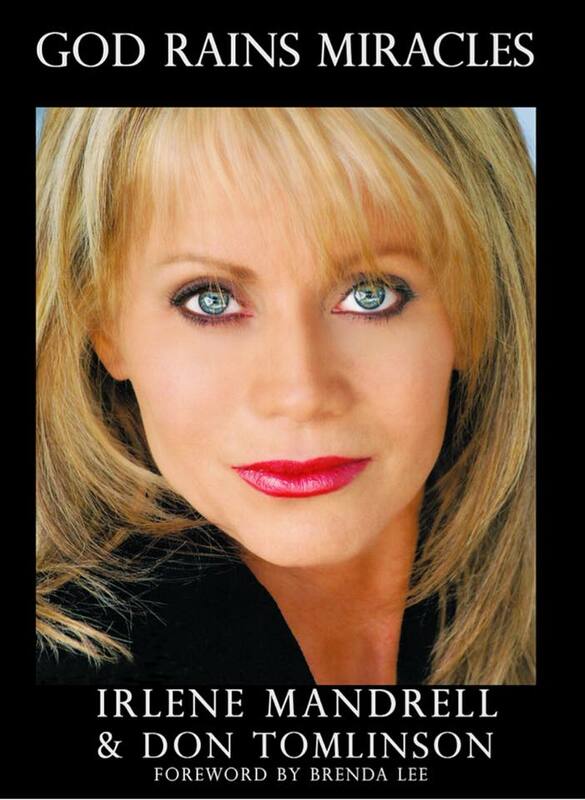 Narrator: Our next guest is musician and actress Irlene Mandrell. Growing up, Irlene saw her fair share of miracles as she watched her sister Barbara rise to country music fame, then saw her sister Louise’s star rise alongside her own as the three formed the group Barbara Mandrell and the Mandrell Sisters. Today Irlene reflects on everyday miracles special relationships she’s had with her family, her pets, and with God. Irlene Mandrell: I’m Irlene Mandrell And I think most people know me from the 80s TV show that I did with my sister Barbara Mandrell the Mandrell Sisters. And then for eight years, I was on a show called HeeHaw. It ran for 25 years, so I was still kind of new to the show compared to some of the people that were on there for the whole 25. But it was so much fun. Great times, great memories. I have two sisters, Barbara and Louise, and we were all born in Texas. My dad was a policeman there, and I’m sure that’s a lot of why I have love for all of our first responders and military. He retired from the police force in Corpus Christi, Texas, where Louise and I were born, and we went to California where his older brother was. And when Dad got out there, he found that wasn’t reciprocity. He couldn’t be a policeman in California [just] because he was a policeman in Texas. He always worked hard, and he did a lot of jobs. But I’m sure that was a great disappointment. A lot of people now, you can look back and say, “Oh, God had a plan, you know, there was there was this puzzle.” But at the time, I’m sure that was devastating. And so in California, my dad did different jobs until we moved to Oceanside, where he ended up buying a music store. When my mom had met dad, she was playing keyboard piano and organ and her brother’s church in Fairfield, Illinois. And my dad and his brother, his brother was a preacher, was an evangelist at the time. They traveled from Arkansas and played and preached and played at my mom’s brother’s church. So that’s how they met. My dad fell for my mom. He left, and he said, “I’m coming back for you.” And I guess it was probably just a few months later and he came back. They ended up getting married, and after they traveled around for a while, they ended up in Texas. But leading up to when Mom and Dad got to Texas was, there was a miracle that happened when they lived there for a little while. It has to do with Christmas. When my mom was expecting and everything was going great before we were born. She had moved to Texas with my dad didn’t know anybody there, so it was just them. And she went into labor on Christmas Eve, and everything was fine until it wasn’t. Things just change really quickly. So my dad was out front—and I’ll start to cry—my dad was out front, and he started praying. So he came back and he said, “I’m going to take over,” now these days you couldn’t do it. But he wanted daddy to assist like he used to. So on Christmas morning, my mom survived and my sister Barbara was born. So that’s our big Christmas miracle. As my dad was growing up, he had sang with his brother and sister, and they just loved music. But music had already been part of his life. By the time he did this, Barbara was a young teenager. But when she was 11 and 12, Dad had a friend come over that was a musician that played steel guitar. And she wanted to play, so he started giving her lessons. And she was 11 and by the time even before she turned 12, after a few months, she was already playing like a pro and demonstrating this instrument. So he got her on a show in Las Vegas at the Showboat with Johnny Cash, Patsy Cline, George Jones, and just all of the people that you think of from that day, you know. And it was just incredible. So when Dad bought this music store, it was perfect for Barbara. She could go in there and basically play whatever instrument. After a while in junior high, she took saxophone, but they put her in the high school band. Anyway, she was a musical prodigy. I don’t know that we would have known that if Dad hadn’t left the police department in Texas and gotten back involved with music. By the time Barbara was 16, Dad had the Mandrell Family Band. She learned bass because they needed a bass player, and they would do shows for military bases all up and down the coast in California. And then they ended up going during the Vietnam War overseas—not USO, but to places that are normally not reached by anybody from the States in entertainment. They performed for the men who needed their morale lifted, but it was a little more dangerous so people didn’t normally go there to entertain. After a couple of those tours, then they came back and Barbara retired at 18. She got married to [the band’s] drummer, Kenny. He became a Navy pilot and got stationed in Washington State. So then my sister Louise and I, with Mom and Dad, moved to Tennessee, Newbern, Tennessee. Very country, very much a culture shock for kids who’ve only been raised in California. And my dad’s other brother was there, and he had a church. He was a preacher, and he had a church in Newbern, Tennessee. But he told Dad to come and they would build houses together and do real estate. 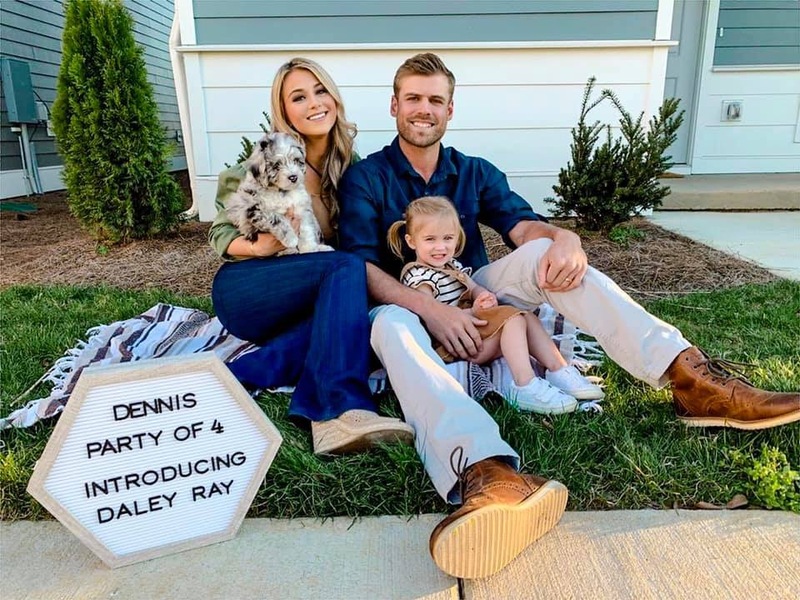 He said, “Well, if you’ll stick with it, I’ll manage you, I’ll get behind you, and we’ll go for it.” So she went to Nashville, and then when Ken got out of the Navy, he came to live in Nashville with us. She’s been retired now for 20 years, but she was in it for a long, long time. We had gone our separate ways before the television show. Louise had started recording in her own right. When Barbara went—now, she had already won Entertainer of the Year in the CMA, Entertainer of the Year a few times and Female Vocalist of the Year before that, and she was doing really well. So she went out with my dad to talk to a few people about a television show. They said, “Come in and do the Mike Douglas Show, and they’ll watch.” Barbara did “Mama Don’t Allow No Music” and went around to all the instruments, and Louise’s playing bass and I’m drumming. And we got the TV show from that. That’s a miracle, I think, to get a show. Because it was back then it was three networks and we had, like, 40 million people a week viewing. So it was incredible. I’ve had wonderful times and a great life. And I thank God. Growing up, [I said,] “Thank you, God, I had the best mother and father and family, You have just blessed me.” But now I not only have them, but I have three kids and a granddaughter. That’s just precious. I just got married three years ago. And what happened was, I sold my house in Gallatin, [Tennessee], because my dad had passed away eight years ago and my mom’s in this big house on the lake. She goes, “I want to stay in this house, but I’m so lonely here by myself.” So I moved in. At that time I didn’t have but one dog that actually belonged to my daughter, who also moved in with me. We now have a little Maltese named Gabriel, and then we took Heather’s dog because she also has rescue rabbits. When she was with Pat, it kind of became Pat’s dog anyway, but she got this double Dachshund, double dapple Dachshund. So since birth, this little doggie has been blind and deaf, and he gets around so great—Peyton. And so we have Peyton and Gabriel. They’re wonderful, and my mom’s great with them. I mean, they’re like your kids. They just they give so much comfort, and they are part of the family. I have all these stories that I thought would make a great book. I’ve been writing a journal for years and years and finally put it together. But it’s called God Rains Miracles. We have so many miracles in our family was the reason I decided to write the book. And when I’m not working, I’m with my kids and my grandbaby, and my mom is still doing great. And it’s like you want to just, if you could wish anything, you’d wish God could just slow down time a little bit because everything’s so wonderful. And I just find myself thanking Him. We all need to spend our time in prayer, but I don’t do enough of that. When you don’t have time to think about prayer, [the time to be still is] when you first get up in the morning, and you maybe have your coffee. I have a few cups so I can read a lot, and you sit back and you read your devotional. Jesus Calling is such an incredible book. It just gives you inspiration. And the way it’s written. It’s just so easy to understand and think about what God is really telling us and how much God loves us. And I think that’s so important. I love this Jesus Calling, the devotional because of things like that, that tell people and remind us that God is there. But it’s just feels so good when the Holy Spirit starts working, because He keeps reminding you of how God’s working in your life. 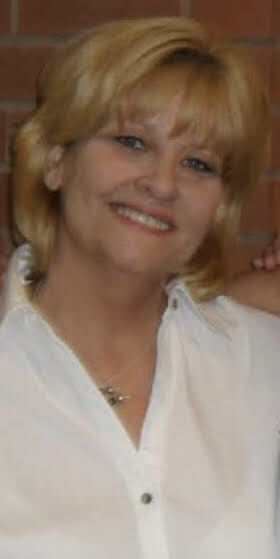 Narrator: If you’d like to learn more about Irlene’s book, God Rains Miracles, please visit irlenemandrell.com. 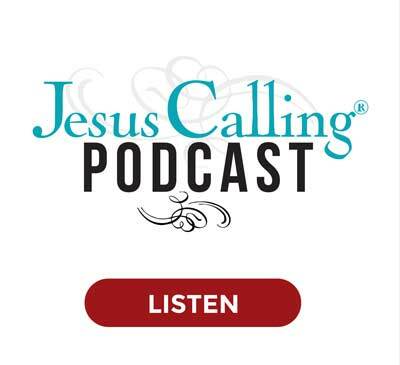 Narrator: Next time on the Jesus Calling Podcast, we talk with actress Chrissy Metz, star of NBC’s hit show This Is Us and the new inspirational movie Breakthrough. Breaththrough is the story of one mother’s deep faith in God amid what appeared to be an impossible situation. Chrissy shares that relies on prayer when she finds herself in her own seemingly impossible situations. Chrissy Metz: Oh, I pray. I absolutely pray. And I ask for understanding and for the willingness to do what it is that I am supposed to do and not what Chrissy wants to do. But yeah, I pray.